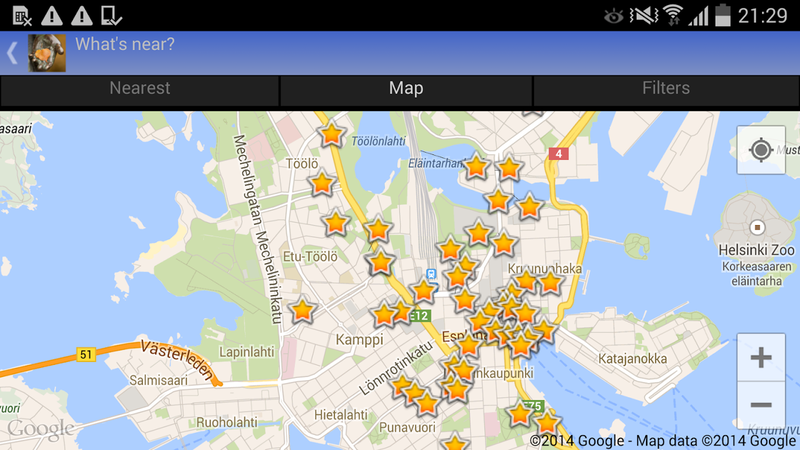 The App | What the Helsinki? What the Helsinki is that? What interesting things there are to see (nearby)? What was this city like in the past? The content can be also browsed by topic and on the map. Browsing by topic is not yet in the iPhone version. 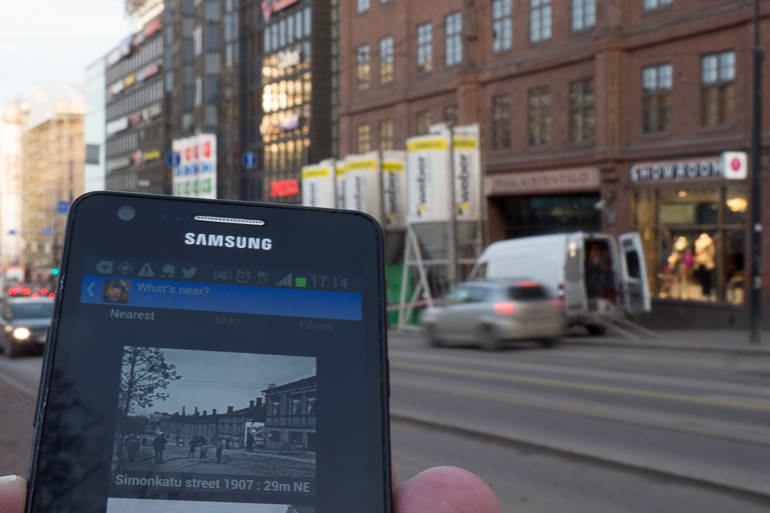 Imagine if you could stroll around in the city and your phone would automatically show you what the place looked like in the past. 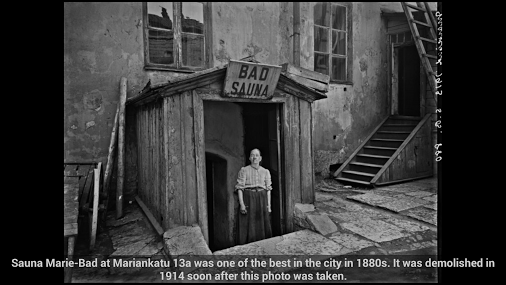 See how some places still look the same and others have changed completely. 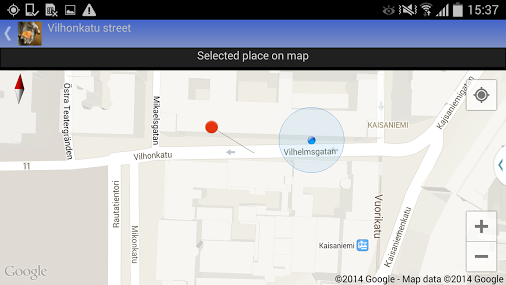 You can see Helsinki photos that were taken nearest to your current location or browse them on the map. Subject location and viewing location help you to see the historical view in today’s Helsinki (visualization not final yet). Additional information is also given about every photo. The first version contained 1907–1913 photos from the best-known early Helsinki photographer Signe Brander. 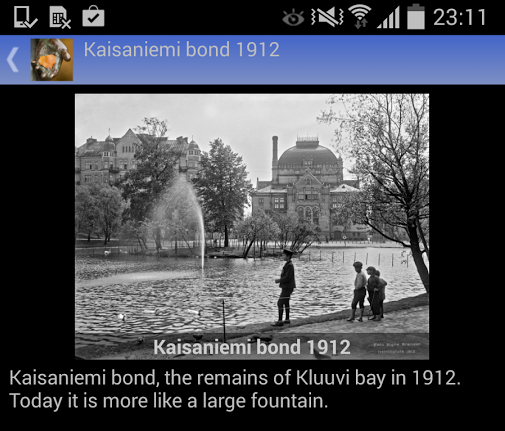 The app will be constantly updated with contemporary photos, additional historical photos and information about Helsinki both for locals and visitors. The author has had Helsinki related photo blogs since 2008 and What the Helsinki is the latest incarnation. The blog and associated Facebook and Twitter accounts help you to enjoy the content in smaller pieces and to stay up-to-date about new content in the app. Once the basics of Helsinki have been covered, the content will concentrate more on interesting less-known details. 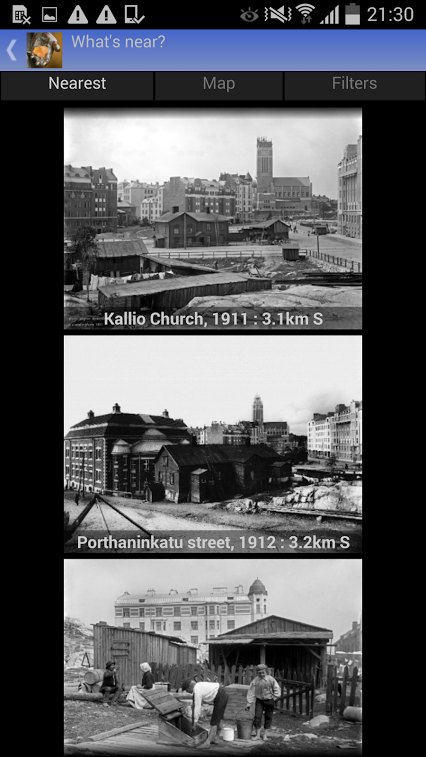 This is a multi-year experiment to see what can be achieved when author’s interests photography, travel, Helsinki, history and software development are combined. 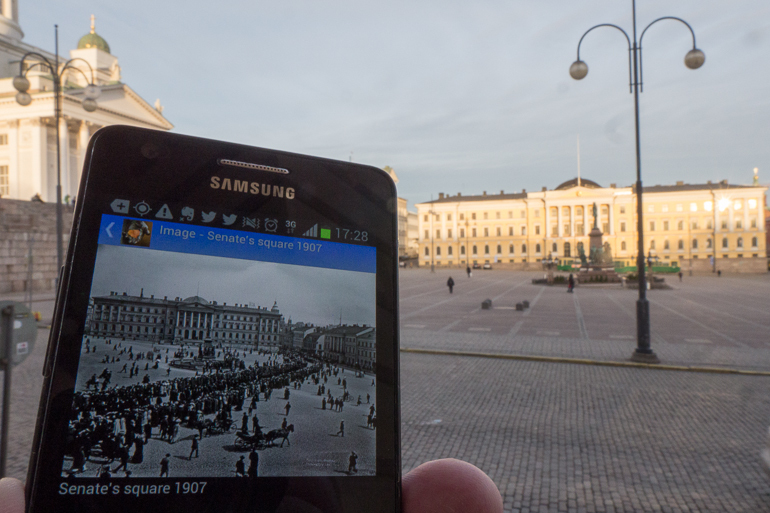 You can appreciate a historical photo much more when you view it at the actual location where it was taken. Finding the location can be difficult because the city has changed so the app will show it on the map. If you have any questions or feedback, don’t hesitate to email support at whatthehelsinki.com. Black and white photos on this page are by Signe Brander and they are licensed from the Helsinki City Museum.